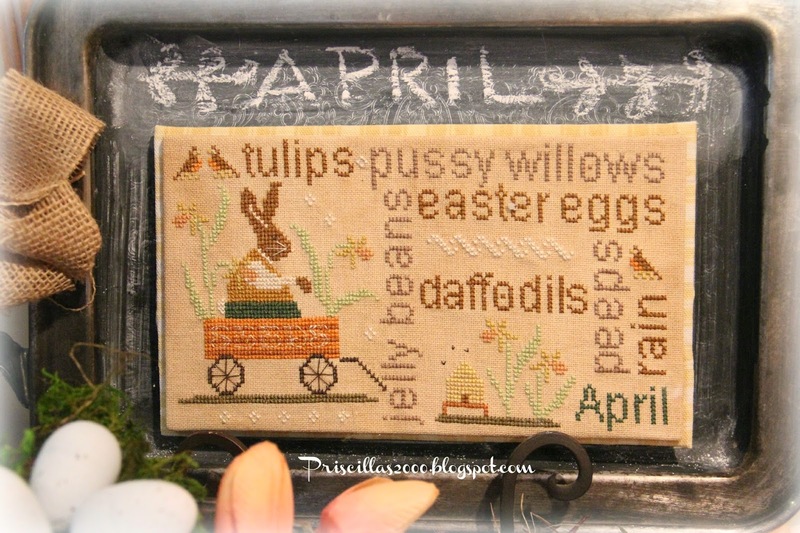 Good Morning...I finished stitching the April With thy needle and thread wordplay last night .. I mounted it to sticky stitching board this morning and added a yellow buffalo check background.. The bunny on this one is so cute ! 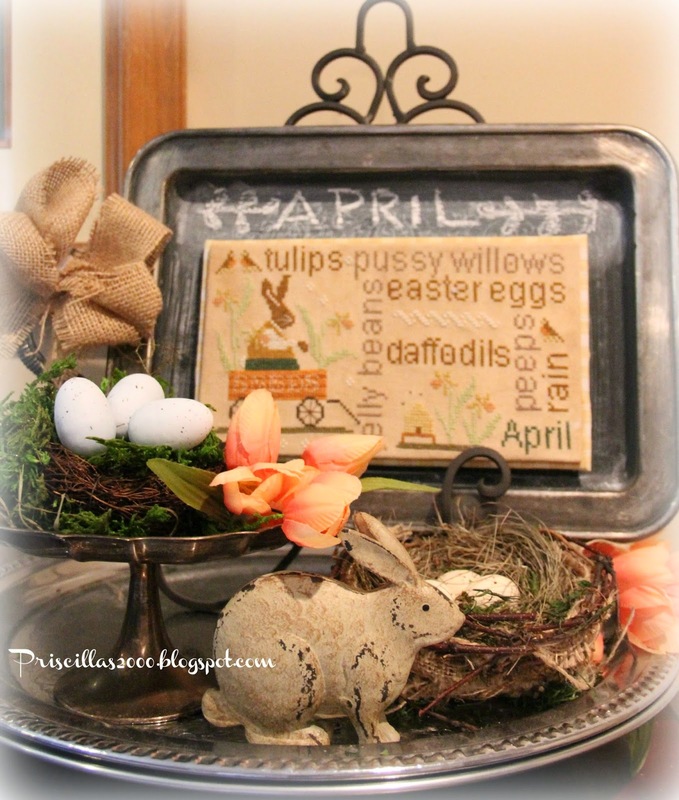 You can see the months of March, February and October ..
OMGoodness...you are killing me with these finishes...do you know I have all the patterns? LOL! Never stitched a one. But I'm thinking I need to start stitching some because yours are just gorgeous! 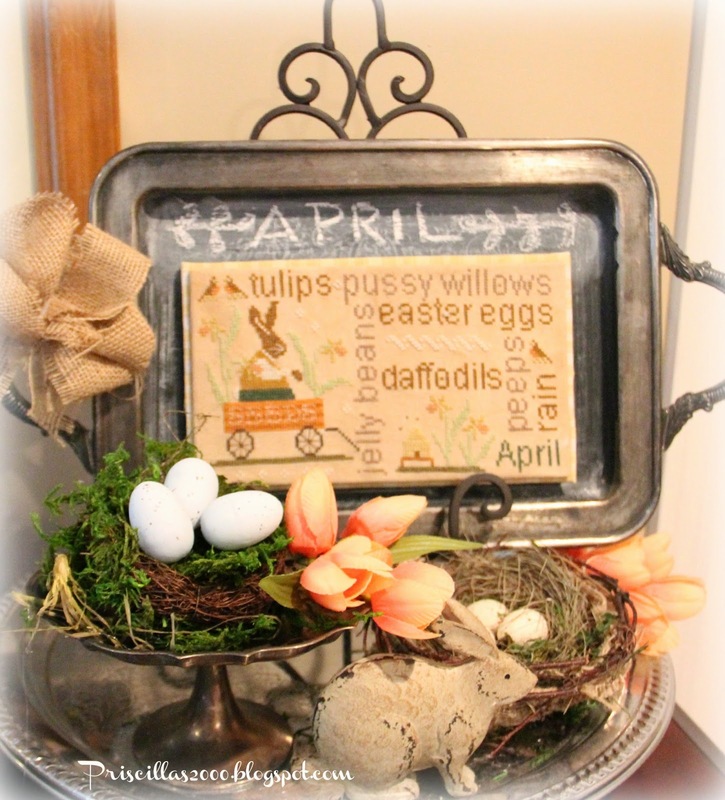 I love the imaginative way you are displaying "Word Play". I'm with Vonna, absolutely loving your finishes!!! All of your Word plays are just so lovely, I think I really must get myself some and start stitching them!!! 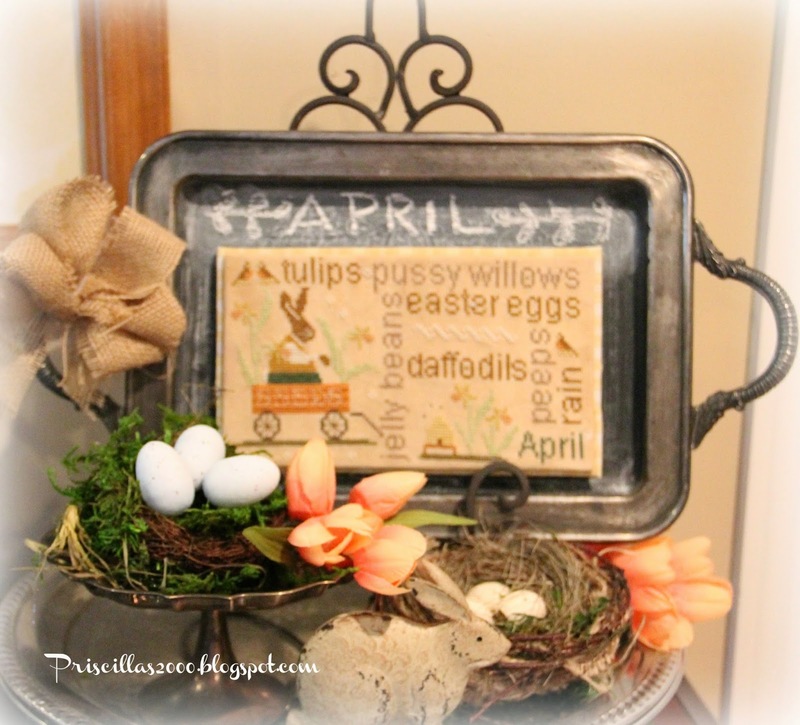 What a perfect Spring/Easter vignette! 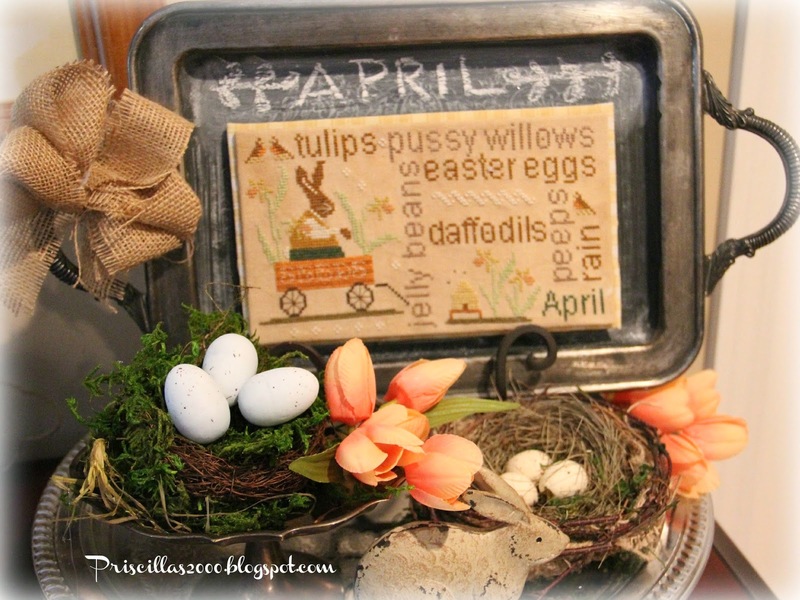 The stitched piece is adorable and the flowers and bunny are just too cute! OMG Your killing me. I can't even sew a seam! You need to teach a class on how to be creative. I love your tray and the stitching you did! Another adorable piece! It looks perfect with your vignette. This is so neat! You're creative and talented. Great to have you at Seasonal Sundays. I love this, Priscilla! The bunny is so cute. I used to be a cross-stitch addict. I'd really like to start back up again, especially since I still have all my floss. Can I ask where you find these? I went back and saw your March one, too. Very cute!